« International Women’s Day Gig Night! Do you collect something? Does your collection stay hidden away for your eyes only? Why not dust off your collection of kettles, WW1 memorabilia, Spice Girls collectables, Dinky toys, maps of the world or whatever gems you have been adding to all these years and come and show them off to the world! The people museum is a showcase of the everyday, the collections that never reach museum status but deserve a bit of love and attention! The cafe will be open all day serving drinks and snacks plus hot food until 1pm. 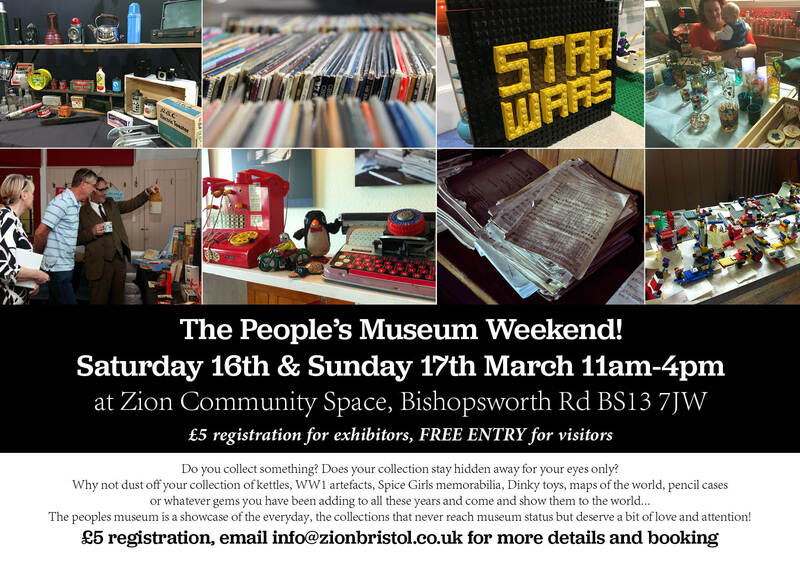 If you would like a stall please email info@zionbristol.co.uk for a registration form (£5 admin fee will be payable).